Low Volume Muscle Building: The Key to Explosive Muscle Growth? Is low-volume, high-intensity muscle building the key to explosive muscle growth? So you want to build muscle? Are you doing it in the fastest, most efficient way possible? 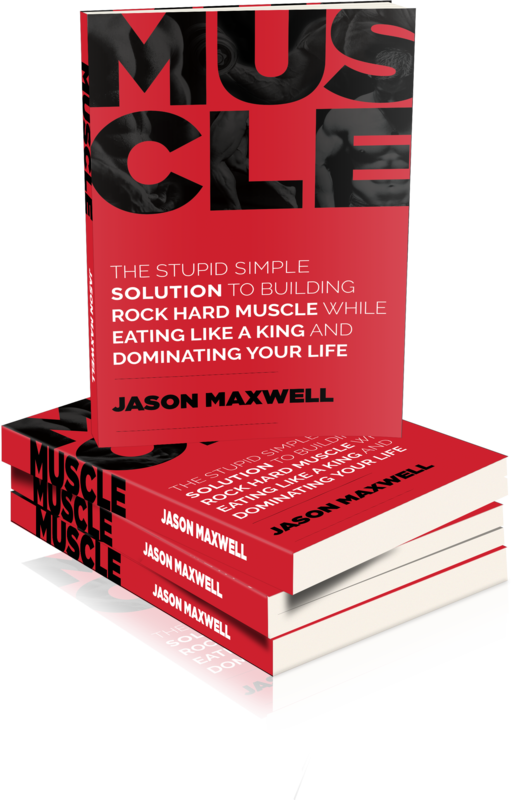 Learn the fastest and most efficient way to build muscle. Over the years countless folks have claimed to know the path to the fastest possible muscle growth. Among them are those who endorse high intensity training, which is often referred to as HIT. Is HIT the key to unlocking the door to your muscle-building potential? Is it yet another silly fad to waste your time on? Let’s find out. While a study of lifting history reveals a variety of lifting volumes, bodybuilders have almost always used a moderate to high volume approach. Then, in the early 1970’s, a man named Arthur Jones came along and tried to turn the world of bodybuilding upside down. He was smart, driven and one of the most dogmatic people to ever set foot in the fitness industry. He told people – even very successful bodybuilders and highly educated exercise scientists – that everything they knew about exercise was wrong. Jones got people’s attention by producing some impressive results. One of the most famous was his 1973 Colorado experiment with Casey Viator. In just 28 days, Casey gained (some of it re-gained) 45.28lbs. When Jones started working with Dr. Ellington Darden, things quickly took off for HIT. Dr. Darden adopted Jones’ philosophy, but had more tact, diplomacy, and teaching skills than Jones. He came up with the term HIT and was able to explain Arthur’s ideas to people in a way that made sense. He wrote several HIT training books. Jones was also a key influencer of Mike Mentzer and his brother Ray. Mike took Jones’ HIT ideas to a new extreme. He split the body parts up and reduced the frequency even more – often recommending a training session once every four days. Mike also took the intensity techniques to an even higher level. Since then there have been others who have adopted parts of the HIT training philosophy. 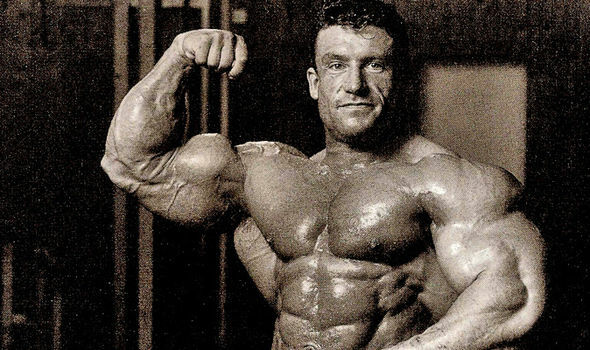 One of the most notable is Dorian Yates, who won six-straight Mr. Olympia titles in the 90’s. However, when you examine his routine and his training video “Blood and Guts”, you notice that while he did one brutally-intense work set per exercise and often used forced reps, his training is still quite different from the true HIT guys. Dorian did warm-up sets for his first exercise, used multiple exercises per muscle group, and followed a body part split. Whole body routines of about 10 exercises ( each 1 set of 8-12 reps taken to the point of total muscular failure), done 3 times a week, will result in the fastest possible gains in muscular size and take you to your genetic muscular potential – wait a minute! Volume is a great way to add some of this metabolic stress. In May 2015, Radaelli et al. compared 1, 3, and 5 sets for strength, endurance, and hypertrophy. 3 sets was better than 1. 5 was better 3. In January 2013, Soonete et al. compared 1 and 3 sets for arm strength and size. This study showed better results with 3 sets. In 2010, James Krieger did a meta-analysis of single vs. multiple sets for hypertrophy. He found that multiple sets were associated with 40% greater size gains than single sets in both trained and untrained subjects. One of the basic principles of training is the SAID principle (specific adaptation to imposed demands). Simply put, the body adapts the way you train it. If you expose it to heavy, low-volume training the natural response would be strength gains. This is because strength is defined as the maximum amount of force your muscles can produce in a single effort. To gain size, a certain level of volume requires the muscle to get bigger and stronger. My first encounter with HIT training was back in the mid 90’s. I was a tall, painfully skinny teenager who wanted to build a strong, muscular body. Since there was no internet, the local library was the source for muscle-building information. This gave me the option of about three books. This is where I first discovered Ellington Darden’s books on high intensity training. I loved them. They were so simple and they made so much sense. My first go at a HIT routine was when I was in grade 12. I had burned myself out that year and got sick with Mono. This gave me plenty of time to read about HIT training. As soon as I was better, I jumped straight into a HIT routine. Within a month, I had gained 10lbs (likely re-gained most of it) and my strength shot way up. However after the first month, I quickly slammed into a nasty plateau – no more strength or weight gain. As time went on, I moved to more moderate-volume routines and was able to gain over 50lbs of muscle. Several times throughout my training life I returned to HIT training. I loved the simple philosophy. Low-volume muscle building was commonly preached for skinny hardgainers like me. However, each time I moved back to a low-volume program, I found the same thing. I would have a rapid spike in my strength levels (likely the result of neuromuscular adaptations) followed by a loss in muscle. I’d then have a quick run into a plateau. I have come to realize that I need more of a moderate volume approach to build muscle. As a side note, one of my good friends and long-time training partners has been with me through many different styles of training. When we did a low-volume program, he would actually gain a lot of size while I got smaller. When we did moderate-volume programs, I got bigger and he failed to get results. This, along with my experience as a trainer and a coach, has lead me to believe that some people are naturally more suited to higher or lower training volumes. What are the practical applications for you and your muscle building efforts? Focus on results – not a philosophy. No matter how good something sounds or how much sense in makes intellectually, training is about results. Do what works. Learn to think for yourself. Many people who are too lazy to think will flock to dogmatic people. Don’t be one of them. Keep an open mind and listen to anyone who has been successful, but don’t blindly follow a dogmatic person. They are not always right. You need a certain amount of volume to grow muscle. Not even the most extreme HIT Jedi does a routine of 1 set of 1. Optimal volume can vary from one individual to the next. If you have never tried a lower-volume muscle building program, give it a shot. It may be a style of training more suited to your body. It may be something to move to every now and then. Or, it may be a valuable lesson in what does not work for your body and you can move on. Regardless of the results, it will be a valuable lesson in what works for your body. Volume is something that can be cycled as no single strategy will work indefinitely. If you have been doing higher volume training, you may find that a brief period of low-volume, high intensity training helps you peak and make some fast gains. Many of the “success stories” from HIT were people who had previously been doing very high-volume routines. Remember Arnold was the most popular bodybuilder of the time, and he responded very well to high volume training. Because of this, everyone copied him. The drastic reduction in volume of HIT allowed people’s bodies to recover and actualize the gains made from the previous higher volume training. You don’t have to be an extremist. You don’t have to choose between 1 and 10 sets for an exercise. You don’t have to choose between 3 times a week for 30 minutes or 6 times a week for 2 hours. Sure, there will be outliers on either side of the volume spectrum who get great results from very high or very low volume training. You, like most folks, will likely be somewhere between these two extremes. Learn what works for you. What can work amazing for someone else can result in dismal failure for you. If you have given a training style a fair, honest shot and it failed to deliver the results you want, it is time to move on. Andrew works at Trinity Western University as the Head Strength Coach and an Assistant Professor in Human Kinetics. He also coaches clients in person and online. He specializes in training athletes and people that want to look and feel like an athlete. He publishes a blog at www.AndrewHeming.com and is author of Athletic Training for Fat Loss. Darden, E. (2004). The new high intensity training. Rodale. Krieger, J. (2010). Single vs. Multiple sets of resistance exercise for muscle hypertrophy: A meta-analysis. Journal of Strength and Conditioning Research, 1150-1159. Mentzer, M. & Little, J. (2003). High-intensity training the Mike Mentzer way. Toronto: Contemporary Books. Radaelli, R., Fleck, S., Leite, T., Leite, R., Pinto, R., Fernandes, L., & Simão, R. (2015). Dose-response of 1, 3, and 5 sets of resistance exercise on strength, local muscular endurance, and hypertrophy. Journal of Strength and Conditioning Research, 1349-1358. Roach, R. (2008). Muscle smoke & mirrors. Vol. 1. Bloomington, IN: Author House. Roach, R. (2011). Muscle smoke & mirrors. Vol. 2. Bloomington, IN: Author House. Schoenfeld, B. (2013). The max muscle plan. Windsor, ON: Human Kinetics. Schoenfeld, B. (2010). The mechanisms of muscle hypertrophy and their application to resistance training. Journal of Strength and Conditioning Research, 2857-2872. Sooneste, H., Tanimoto, M., Kakigi, R., Saga, N., & Katamoto, S. (2013). Effects of training volume on strength and hypertrophy in young men. Journal of Strength and Conditioning Research, 8-13.